He is currently signed to All Elite Wrestling (AEW). 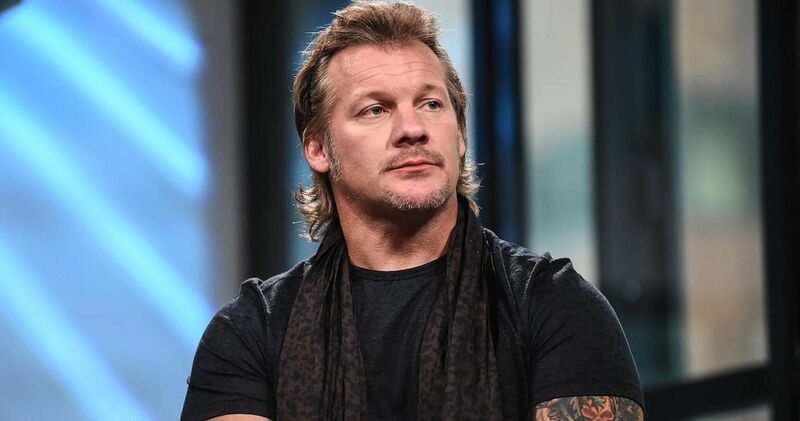 In professional wrestling, Jericho is best known for his time in WWE, where he worked from 1999 to 2018. His professional wrestling gimmick is that of an over-the-top rock star. Jericho is regarded as one of the greatest professional wrestlers of all time. During the 1990s, Jericho performed for the American organizations Extreme Championship Wrestling (ECW) and World Championship Wrestling (WCW), as well as for international promotions in countries such as Canada, Japan, and Mexico. In 2001, he became the first Undisputed WWF Champion, and thus the final holder of the WCW World Heavyweight Championship (then referred to as the World Championship), having won and unified the WWF and World titles by defeating Stone Cold Steve Austin and The Rock on the same night. Jericho has headlined multiple pay-per-view (PPV) events during his time with the WWF/WWE, including WrestleMania X8 and the inaugural TLC and Elimination Chamber shows: he is one of the ten most prolific PPV performers in company history. Hailed as one of the industry’s best talkers, Jericho was voted by Wrestling Observer Newsletter (WON) readers as “Best on Interviews” for the 2000s decade, and was inducted into the WON Hall of Fame in 2010. Among other accolades within the WWF/WWE, Jericho has won the Undisputed WWF Championship once, the WCW/World Championship twice, and the World Heavyweight Championship three times. He is also a record nine-time Intercontinental Champion, beating out four other contenders in a 2013 WWE fan poll to determine the greatest champion in history, with a landslide 63% of the vote. Jericho is the ninth Triple Crown Champion, as well as the fourth Grand Slam Champion in history. In addition, he was the 2008 Superstar of the Year Slammy Award winner and (along with Big Show as Jeri-Show) won the 2009 Tag Team of the Year Slammy Award—making him the only winner of both Superstar and Tag Team of the Year. In music, Jericho became the lead vocalist of Fozzy in 1999. Their eponymous debut album (2000) and Happenstance (2002) consist of cover songs and original music; later records All That Remains (2005), Chasing the Grail (2010), Sin and Bones (2012), Do You Wanna Start a War (2014) and Judas (2017) are comprised entirely or predominantly of original compositions. He has also appeared on numerous TV shows over the years, having competed in the 2011 season of Dancing With the Stars, lasting until the sixth week. Prior to that, Jericho hosted the ABC game show Downfall and the Revolver Golden Gods Awards. vs Shawn Michaels at Wrestlemania XIX. vs Shawn Michaels at No Mercy 2008.
vs Chris Benoit at Royal Rumble 2001.
vs Wild Pegasus (Benoit) at WAR Super J Cup 1995.
w/ Benoit vs Austin/Triple on Raw (2001). vs Angle vs Benoit at Wrestlemania 2000.